Besides housing your vehicles, garages are perfect for storage as well as a useful space for a workshop. The more ways you utilize your garage, the more you want it to look like part of your home instead of an afterthought. Organization is a key aspect in the limited space, and the garage door should be convenient and attractive. Here are five makeover tips to try. An easy way to give your garage a quick makeover is adding storage. Invest in shelving and keep tools, supplies, garden items, and even outdoor toys separated into bins. Install a peg board to hang hammers and wrenches or try a magnetic wall panel that will keep all your metal tools and equipment secure. Wall-mounted storage containers will free up your workspace as well. 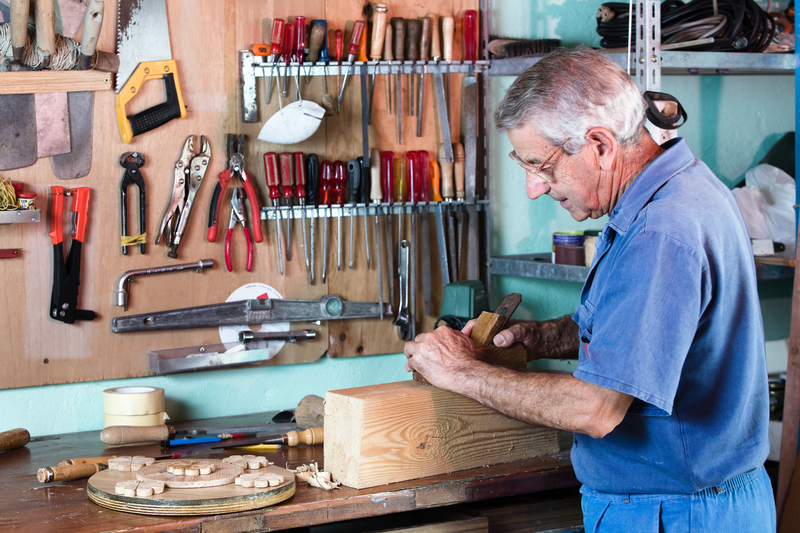 If you use your garage as a workshop, add a wall-mounted workbench that can fold up and down. This easy upgrade can be as big or as small as you need, and components including the worktop and hinges can all be found at a hardware or home store. Fold-up work areas will free up space when you are not using it. If you and your children are avid sports players, creating separate cubbies for each game will make it easier to grab gear. Divide the space by player or by sport and create a designated ball area made from bungee cords or netting. Hang wooden cubbies overhead for storing protective gear and helmets. The ceiling of your garage can easily house bicycles. Install a ceiling bike rack and free up floor space while finding a creative use for the unused area overhead. Make sure hardware and hooks are heavy-duty and designed for ceiling use, and hang bikes vertically by one of the wheels. You can also add shelving and bins to the ceiling for items you don’t need frequently, such as holiday decorations and seasonal clothing. The inside is not the only place that can use a makeover. Replacing the garage door comes with a host of benefits ranging from curb appeal to better energy efficiency. Choose a door that suits your home’s style and consider an insulated door that will help regulate inside temperatures. While you’re at it, update the garage door opener for easy operation. Serving the Triad, NC, area, Original Triad Door Company is the family-owned company to call when you’re ready to update your garage door or you need overhead door repair. Their professional offerings guarantee that your garage door is beautiful and functional by way of the top materials and products in the industry. Call (336) 841-0629 for a free estimate or visit their website for more on their residential and commercial services.